Last month the super talented Zander Michigan shared his new EP, Kitchen Sink #1, with the world. The new tunes are a little different from his previous releases, bringing a more poppy feel to his predominantly folk songs. 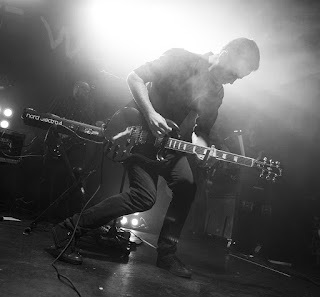 If you haven't given these new songs a listen yet, you can check them out below. 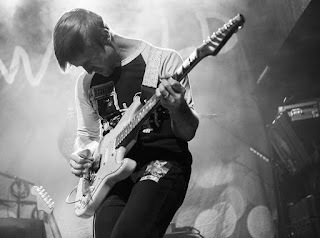 We definitely dig the direction that Zander is going in with this new release. 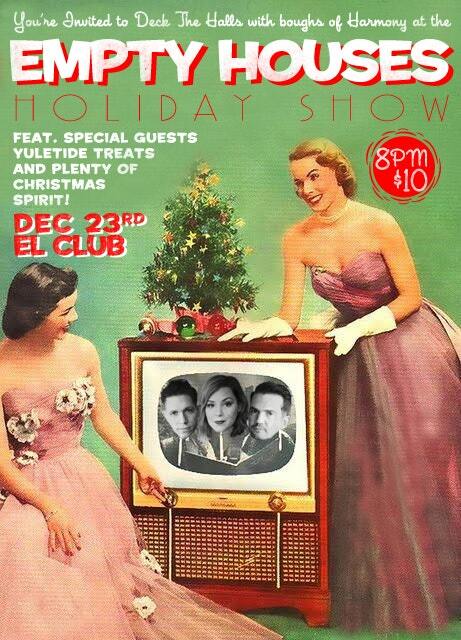 If you dig it too, you need to make your way to The Loving Touch on Thursday, December 28th. Zander Michigan will be celebrating the release of this new EP along with his friends in Remnose, Joe Jaber and The Last Divide, Greg Blucher and his band (Greg Blucher Music) and The Red Rocks will be reuniting at this show. Cover for the show is only $10, and since Zander is such a great guy, he is giving part of that money to a good cause. Bark Nation will be on site and portions of the ticket sales will go towards this awesome organization. Tickets for Thursday's show can be purchased in advance here. 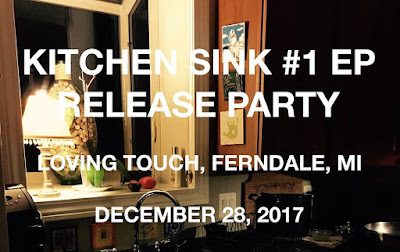 If you would like to pick up a digital copy of Kitchen Sink #1, it is available through iTunes, Spotify and Bandcamp, or you can even check it out on YouTube. 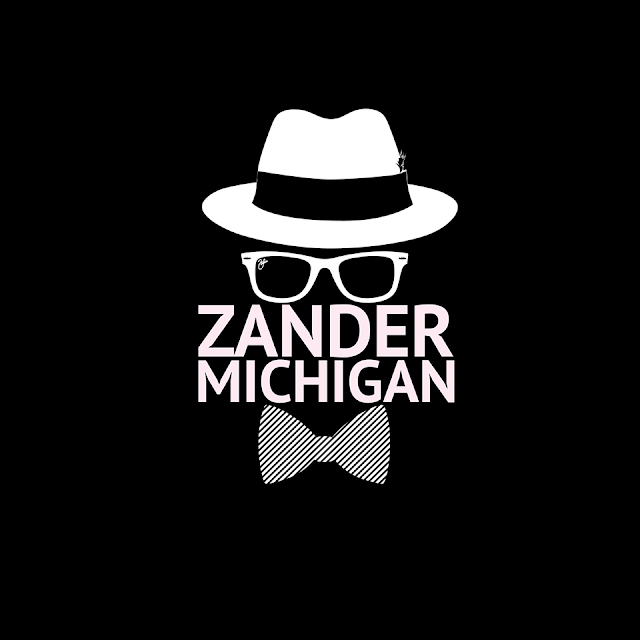 Doors for Zander Michigan's EP Release Party are set to open at 8 p.m. for more info on this event, click here. Around the world people are dreaming of a White Christmas, but here in Detroit we’re looking forward to Black Christmas. The annual event put on by Black Iris Booking will once again take over the Majestic Complex this year, on Saturday, December 30th. The event will feature about 20 bands, mostly from the Detroit area. Think of it as the family Christmas party for Detroit’s Punk Rock & Metal family. Some of us will drink too much, some of us might get a little inappropriate, but at the end of the night, everyone will have a great time! This year’s Black Christmas has another stacked lineup. It includes The Suicide Machines, Negative Approach, Bad Cop/Bad Cop, Iron Reagan, Mustard Plug, Direct Hit!, Squirtgun, Koffin Kats, Elvis Hitler, We Are The Union, Cold As LiIfe, Temple of Void, WOMB, Small Stresses, Bastardous, Bruiser Queen, Suburban Delinquents, Come Out Fighting and RAWDOGS. 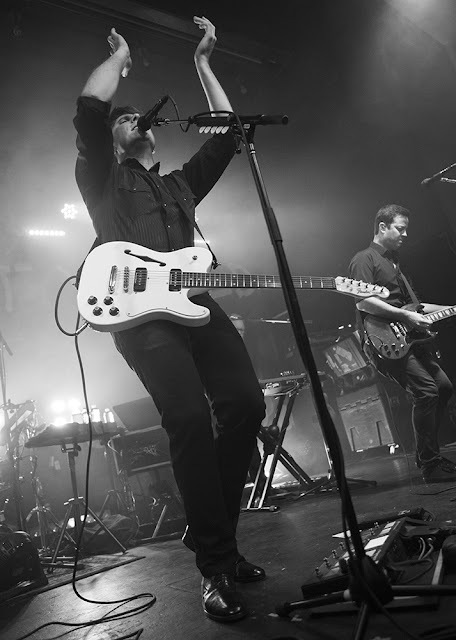 Bands will play throughout the Majestic, in the theatre, cafe and Magic Stick. There will also be awesome local companies and vendors on site slinging merch, including yours truly from Hip in Detroit. If you want to attend this year’s Black Christmas, tickets are only $25 and can be purchased in advance here or at the Garden Bowl. 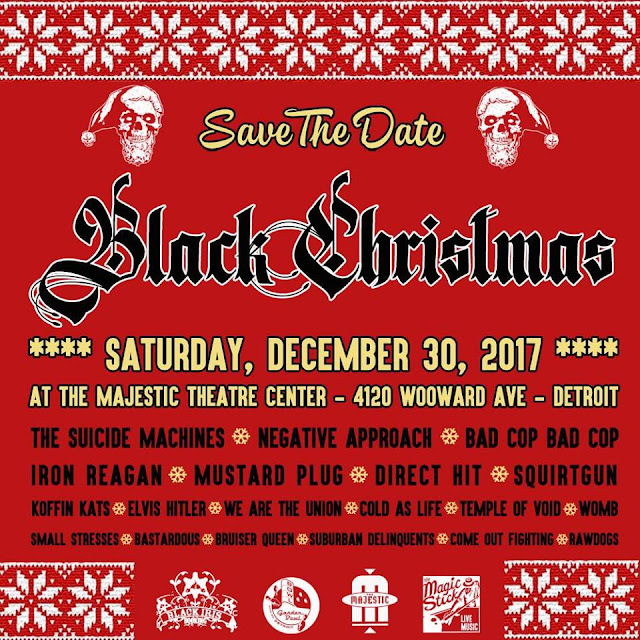 You can also enter to win a pair of ticket to the show by emailing your full name to hipindetroit@gmail.com with #blackxmas in the subject line. We will draw one lucky winner the morning of the show and they will get into Black Christmas with a friend for free that night! Doors are set to open at 6 p.m. for this event and all ages are welcome. For more info, head over to the Facebook event page here. Coming up on Saturday, December 30th Brother Son will be hitting the stage at El Club in Southwest Detroit! 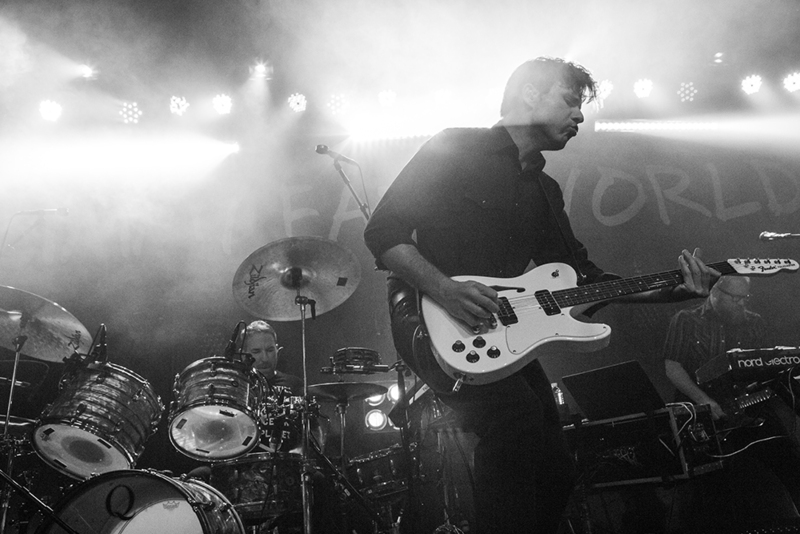 The Detroit area band is quickly gaining popularity. They just got their start at the beginning of the year and their already headlining one of the best venues in Detroit! The band just released some new music this fall. Give their EP Young & Pretty a listen below. 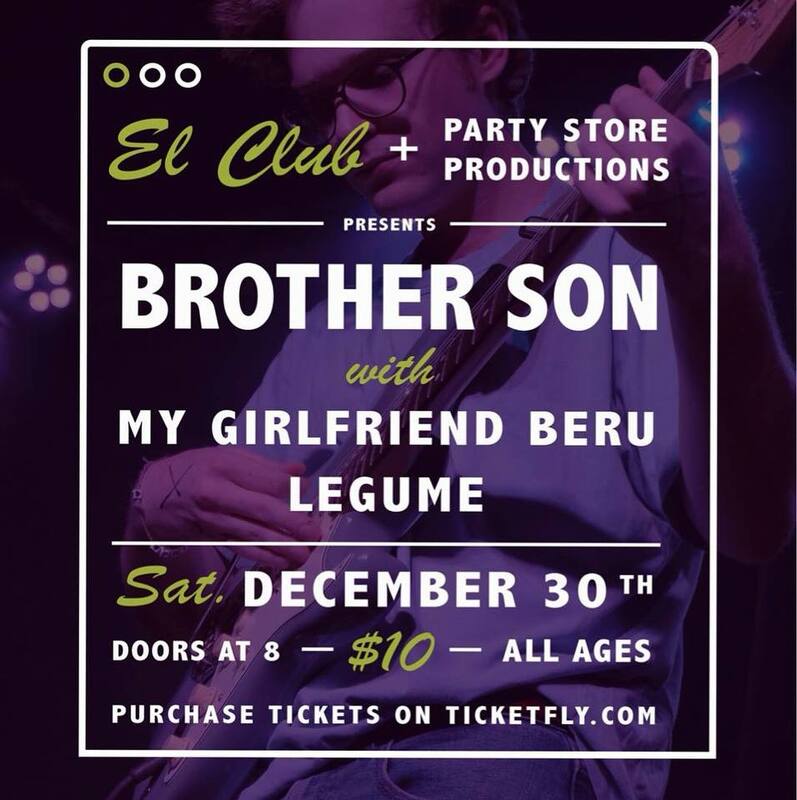 Saturday night Brother Son will be joined by My Girlfriend Beru and Legume. Cover for the show is $10 and tickets can be purchased in advance here. We are also giving away two pairs of tickets to this show. To enter to win, send your name to hipindetroit@gmail.com with #brotherson in the subject line. We will draw two winners the morning of the show and they will get into El Club that night with a friend for free. 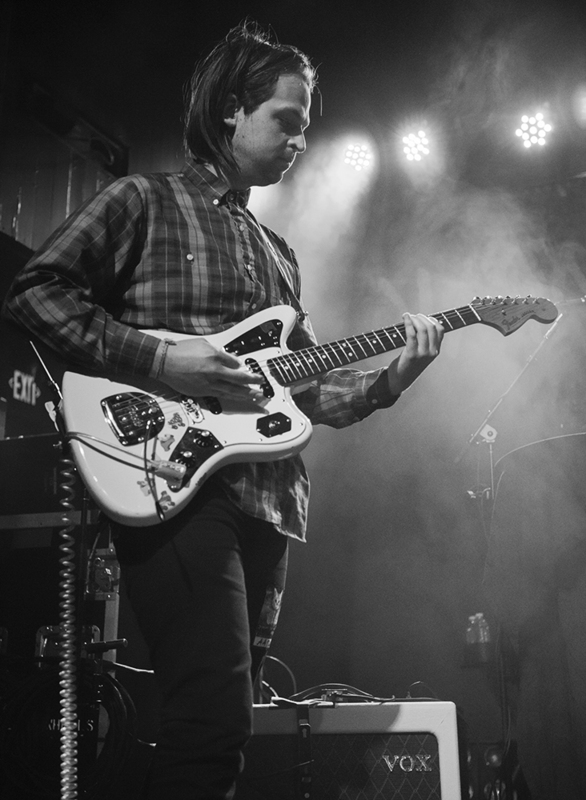 Stream Braidedveins New EP - "Counternarratives I: What Did You Do to Survive?" 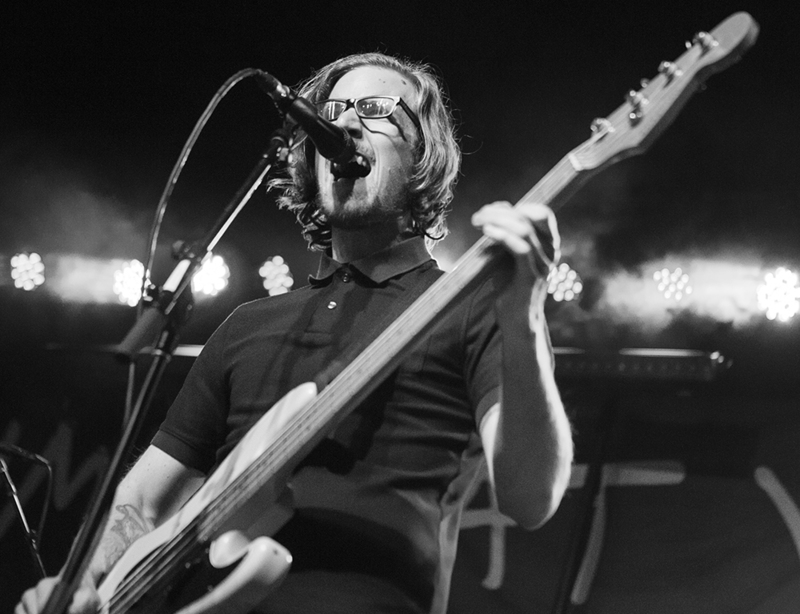 Michigan's own Braidedveins are gearing up to release a new EP! 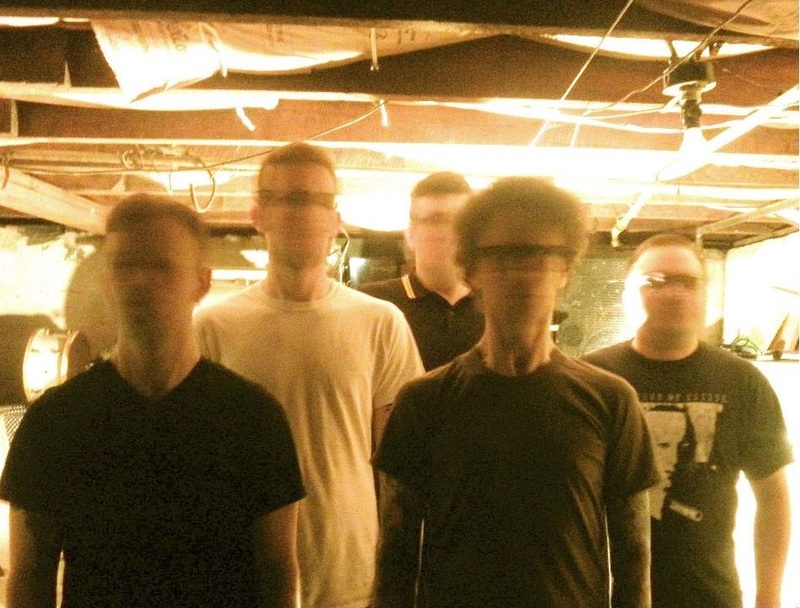 The new 7" is entitled Counternarratives I: What Did You Do to Survive? and it will be released by Dropping Bombs next week. The record features three new songs that were recorded with Marc Jacob Hudson (Against Me!, Saves the Day). The songs each feature, "three different fictional perspectives on survival in a hyper-capitalist post-apocalypse. What does survival mean? What does it cost? What it is worth? What does it require? How does it change you? What did you do to survive?". Thanks to our friends from Dropping Bombs and Braidedveins, you can give the new EP a listen below. If you like what you hear, head over to the Dropping Bombs site to pre-order your copy. The records are expected to drop sometime next week. And because these guys are so cool, part of the money from record sales will also go to a good cause. A portion from the sale of each record will be donated directly to INCITE!, a nationwide network of radical feminists of color working to end violence against women, gender non-conforming, and trans people of color. That's something we can definitely get behind! So make sure you head over and pre-order this awesome new EP! If you want to hear more from Braidedveins, head over to their Bandcamp here or give them a like on Facebook. To check out more releases from Dropping Bombs, click here. 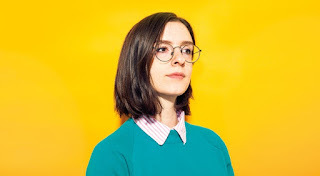 You may have heard of Vice Magazine, but did you know that Vice also has a TV division that produces content for their channel Viceland and a variety of documentaries and short videos for TV and the internet? 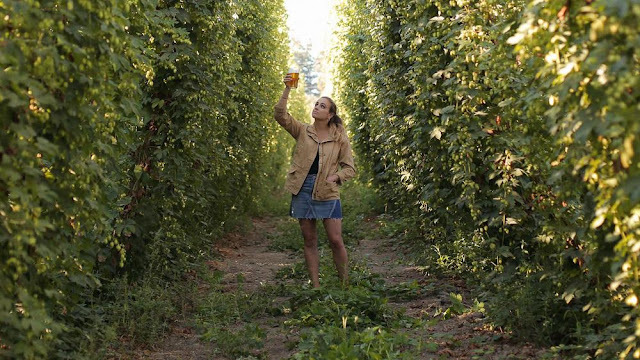 They put out some really great content, including their show Beerland. It features Golden Road Brewing founder, Meg Gill, traveling around the US to find the best brews in each city. She made a stop here and the episode that features our fine city is airing on Viceland this Thursday at 10 p.m. In the episode, Meg visits places like One-Eyed Betty’s and The Baltimore Gallery. You can watch the episode here or ahead up to Fleat in Ferndale to watch it with a group. Find out more about that here. Watch a preview of the episode here and don't miss the whole thing at 10 p.m. this Thursday December 21st! 2017 was a personal year of uncertainty for me. I have not been able to determine what direction I want to go, so it's been hard to figure out what I need to do next to move forward. I am trying to reset my focus and find a way to make 2018 more successful than this year was. I am eager to move my life forward and I am ready to make some moves to make that happen. 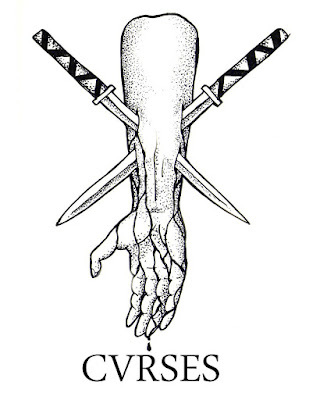 But, before I can do that I need to set my intentions for the next year. I want to sit down and envision what a successful 2018 would look like so that I can actually make that vision come to life. One way to do this is to build a vision board which is exactly what we are going to be doing at Femology on December 29th. Before you head out to your New Year's Eve parties and look for someone to kiss at midnight, I would like to invite you to join Hip in Detroit and Ashley Michele & Co. to make a vision board with us to help you make 2018 the year you want it to be. We have teamed up to bring together a small group of women (*anyone who identifies as) to share in some sisterhood while we each make our own individual 2018 vision boards. Femology is providing the space, Ashley Michele & Co. is supplying the boards and goal sheets, and Hip in Detroit is supplying glue sticks and magazines so all you need to bring is yourself! If you would like to be part of this event, you must be one of the first 25 people to RSVP to the event. Once the event is full it will be closed. To RSVP please email us at hipindetroit@gmail.com and we will let you know if we can accommodate you! 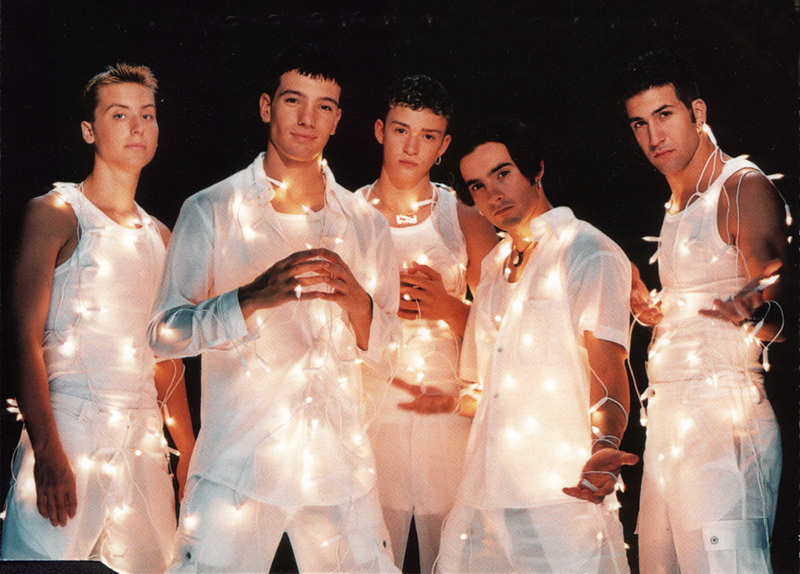 Christmas is only a few days away. Most of us with spend the next few days meeting up with friends and family to share meals and exchange gifts, but before we do there is one more holiday show that you might want to check out. This Saturday, December 23rd Empty Houses is celebrating the holidays be performing live at El Club. It's the perfect opportunity to check them out and most likely catch them playing some of their Christmas songs that they recorded last year. Tickets to attend the show are only $10 and they can be purchased here. You can also win a pair of tickets to the show courtesy of our friends at Party Store Productions and El Club. 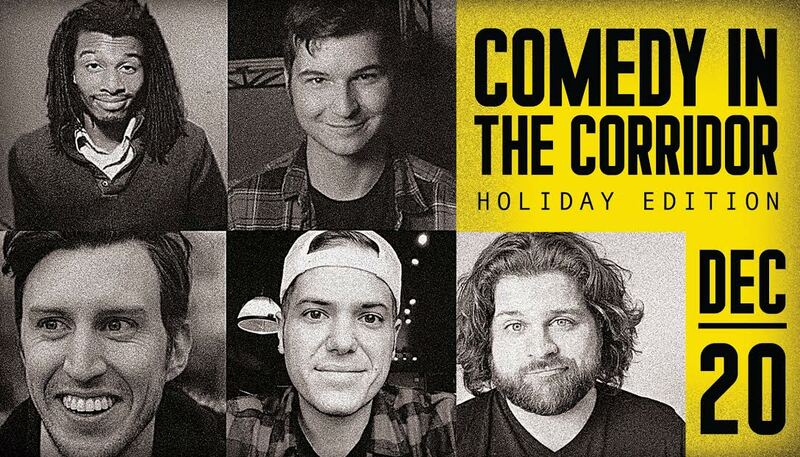 To enter please email your full name to hipindetroit@gmail.com with the subject line #holiday. We will draw one lucky person this Saturday morning and they will get to share some holiday cheer with a friend at the show! Santa and Rudolph, The 44 Territories, Kubat, Finlay, & Rose, Anthony Retka Music and The Barrettes Ladies Barbershop Quartet. 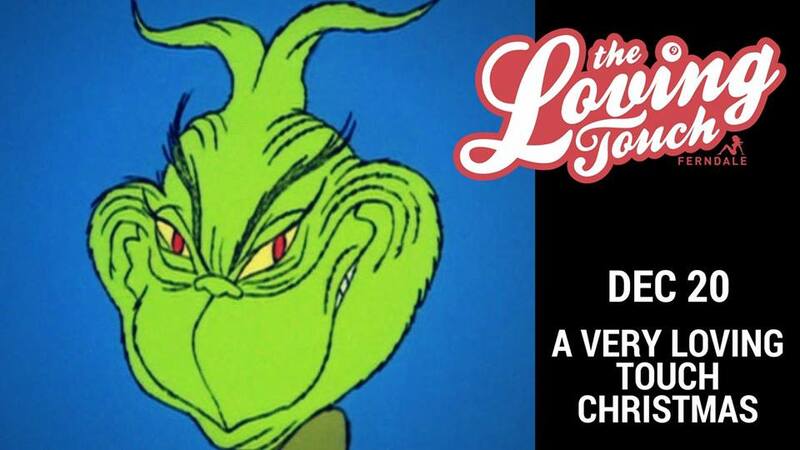 It's a great excuse to come out and get in the holiday spirit with a few adult spirits, while listening to some of our favorite Christmas tunes, with a new twist. Admission to Wednesday's show is free. Doors are set to open at 7 p.m. and the music will begin around 9 p.m. Christmas sweaters and holiday attire are encouraged, but not required. For more info on this fun event, click here. Detroit's Shortly is an artist on the verge of something special. She was recently signed to Triple Crown Records this past November and she is in the process of writing and recording new music. Her first single "Matthew" was well received and everyone is clamoring to hear new music. But, before she takes on 2018 she is flying home for the holidays and playing a hometown gig while she's in town. 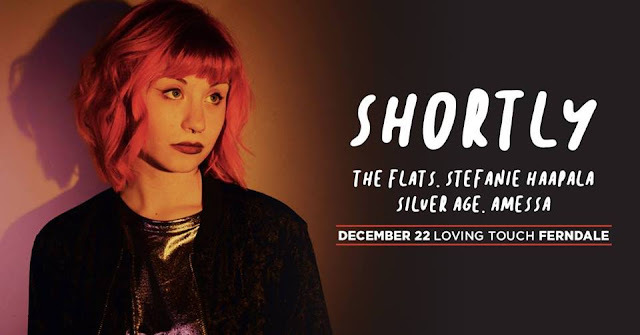 Shortly aka Alexandria Maniak will be coming home to play The Loving Touch this Friday, December 22nd. She will be performing alongside The Flats, Stefanie Haapala, Silver Age, and Amessa. Tickets for the show are $10 in advance and $12 the day of the show. We also have one pair of tickets to giveaway to the show courtesy of Fusion Shows. If you would like to enter to win these tickets, please email your full name to hipindetroit@gmail.com with the subject line #shortly. We will draw one lucky person this Friday morning and they will get to attend the show with a friend for free. Like we said, Shortly is an artist on the verge, so be smart and catch her before she takes the plunge! Third Man Records Detroit is the Disney World of record stores. 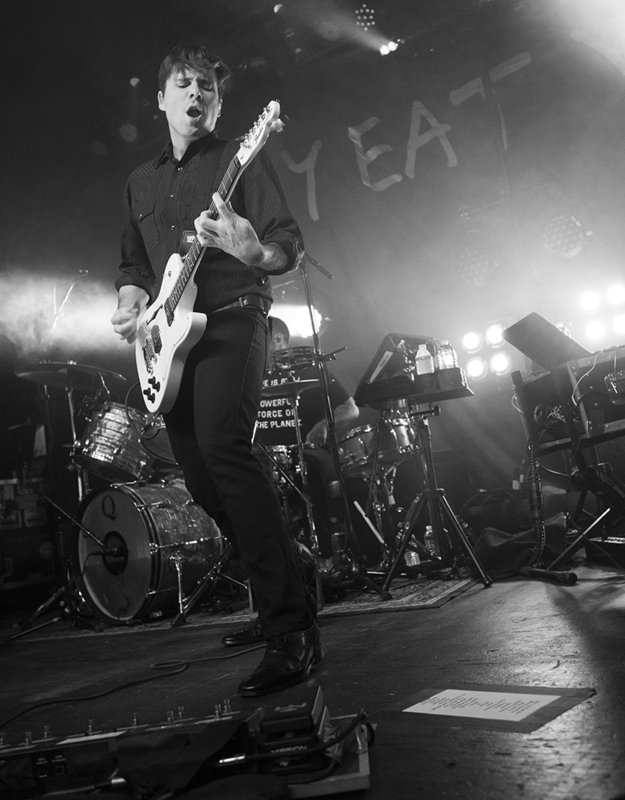 When you step inside, you enter a world that was created by its founder, Detroit Legend Jack White. 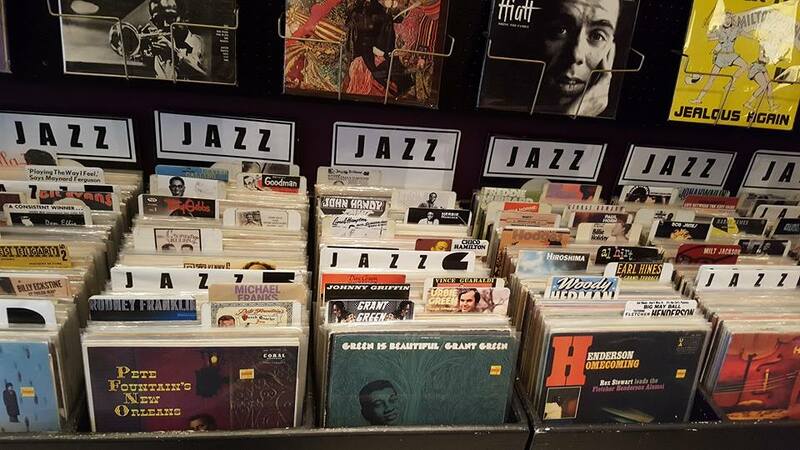 It's not just a record store, it's an experience. 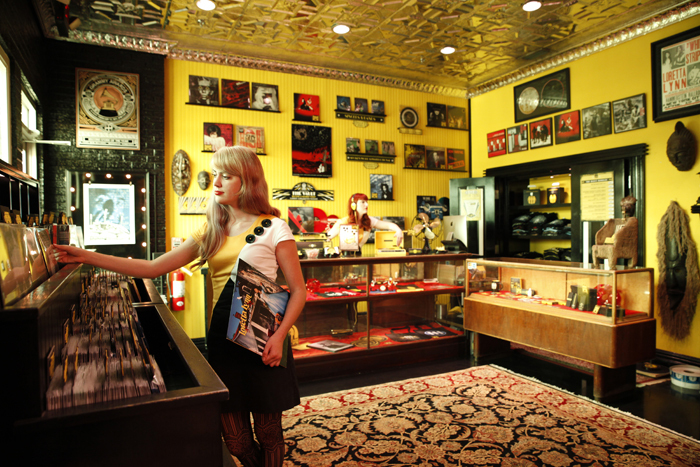 This space not only sells records, but also presses vinyl and is a great place to see a live show. Throughout the year the shop has a variety of acts come to their stage. This includes huge national acts that do little pop-up shows and smaller local bands that might be hitting the stage for the first time. This Wednesday, December 20th they will be welcoming comedy to their stage. They have invited Brad Wenzel, Jeff Scheen, Adam Degi, Adam Hirzel, Chris Daniels and Zach Martina to perform at their holiday show. 18 + and over are welcome to attend and tickets to get into the show are $7. Doors for the event open at 7:30 p.m. and the comedy starts at 8:30 p.m. The store is also open during the event if you need to get some last minute shopping done while you are having a little laugh. Third Man Records Detroit is located in Cass Corridor right next to Shinola and across the street from City Bird and Nest. 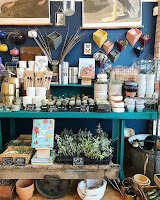 So, if you want to #shoplocal head down to the corridor a little bit earlier and stop into all the stores to see all the cool things that they have! Ferndale is known for its eclectic restaurants and variety of bars. They have breweries, cocktail bars, sports bars and even a few meaderies, but until now they never had a place that your average goth could feel welcome. 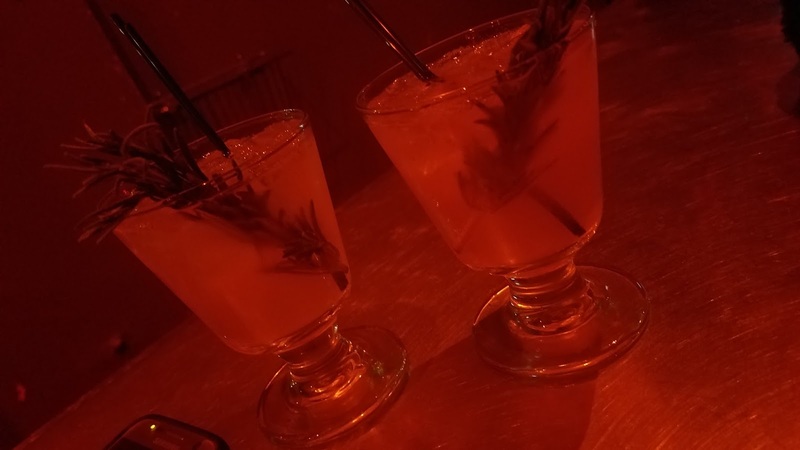 They needed a dimly lit space for dark dwellers like myself to feel welcome and thanks to the city's newest pop-up bar Cvrses, there is finally a place for the dark-hearted to share a drink with friends on a Friday night. 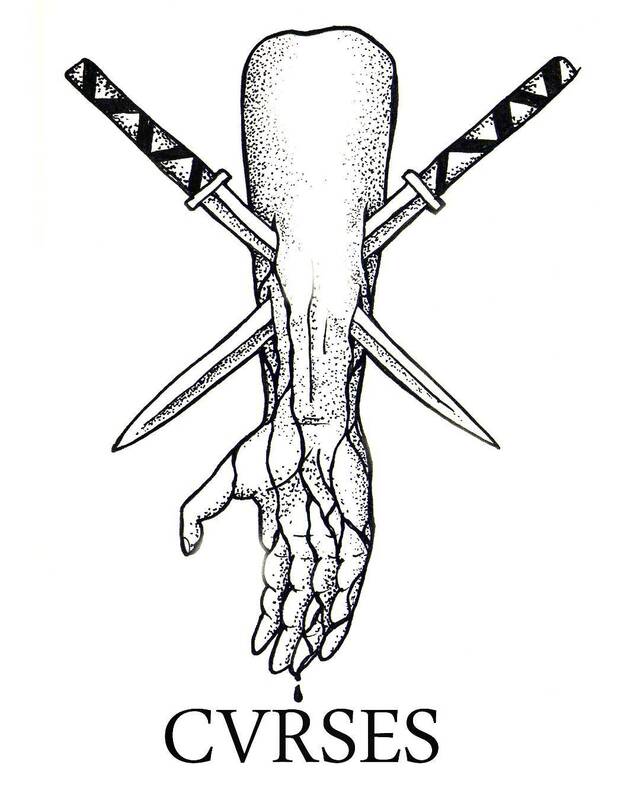 Cvrses is the newest addition to the WAB empire, which includes The Loving Touch, The Emory and Port. It is a temporary drinking experience that features a very curated list of cocktails created by Kevin Hickner, a well known mixologist and musician who decided that he wanted to give the city a little something different. He created a simplified menu that features a variety of classic cocktails with a personal twist. This pop up also features a variety of WAB beers that have been cooked up by the breweries newest mix master, Chris Coburn. If you haven't had the WAB's beer in the last two years, we suggest taking the time to stop in and give it a try. They have completely changed the way that they are doing things over there and people are giving it rave reviews! The windows are covered with curtains, the lights are all red, and the decor is one simple skull hanging on the wall behind the bar. The music is heavy and dark and the cocktails are reasonably priced and really tasty. The entire room also smells heavily of incense, which only ads to the ambiance of the space. This is going to be your favorite place to grab a fancy drink for the next few months so make sure to take advantage of it while it's around! The bar will be open from 6 p.m. until Midnight Thursday through Saturday for the time being. Eventually, they may add Sundays into the mix, but for now it will only be open those three days. It is tentatively scheduled to be up through April when the patio reopens for the summer. The Detroit Mercantile Company- "The Detroit Mercantile company carries new & vintage goods from brands including Carhartt, Pendleton, Woolrich, Pewabic Pottery, Motawi, Better Made snack foods, Detroit Denim Co., Corbe Company, Sharklion Design, Smith Shop Detroit, and a broad range of private label items including apparel, prints, glassware, and jewelry." 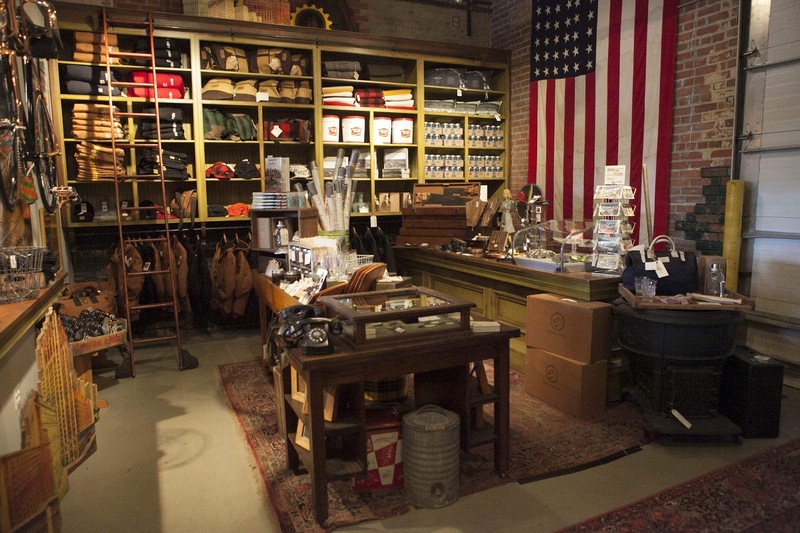 Eldorado General Store- This neat sop is located in Corktown. It carries a variety of curated new and used items that reflect the owner's free spirit. Holiday Hours; Monday- Friday 12 pm through 6 pm, Saturday 11 am to 7 pm and Sunday noon until 6 pm. 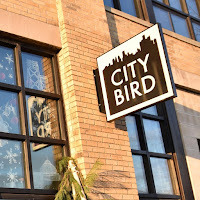 City Bird/ Nest- These two little shops are located right next to each other in midtown. 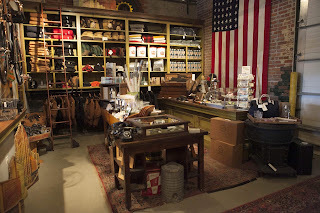 Each space features a unique collection of gifts items and Michigan made treasures. 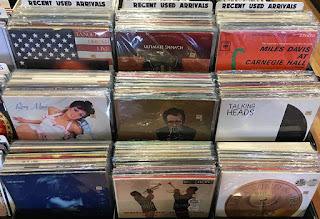 Third Man Records- Stop by Third Man Records to pick up an album or a cool gift. 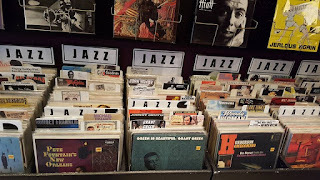 You can even grab a gift card and let someone go record shopping for themselves! Blumz by JRDesigns- Blumz by JRDesigns has a lot more than flowers! 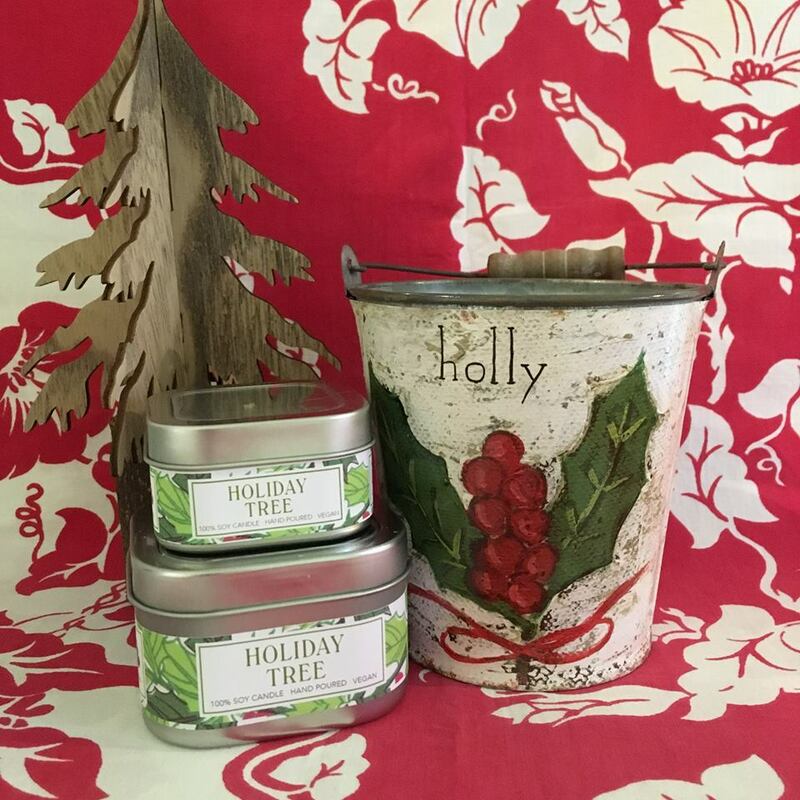 They also have a huge selection of locally made gifts and holiday decor. Plus they are running a sale on a lot of their holiday items! 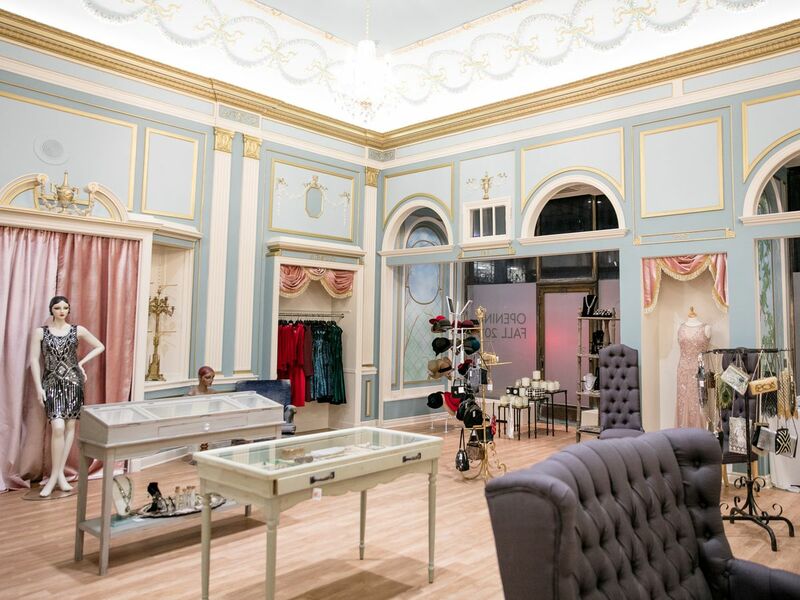 Peacock Room- The Peacock Room is the coolest place to get a holiday dress or beautiful accessories. 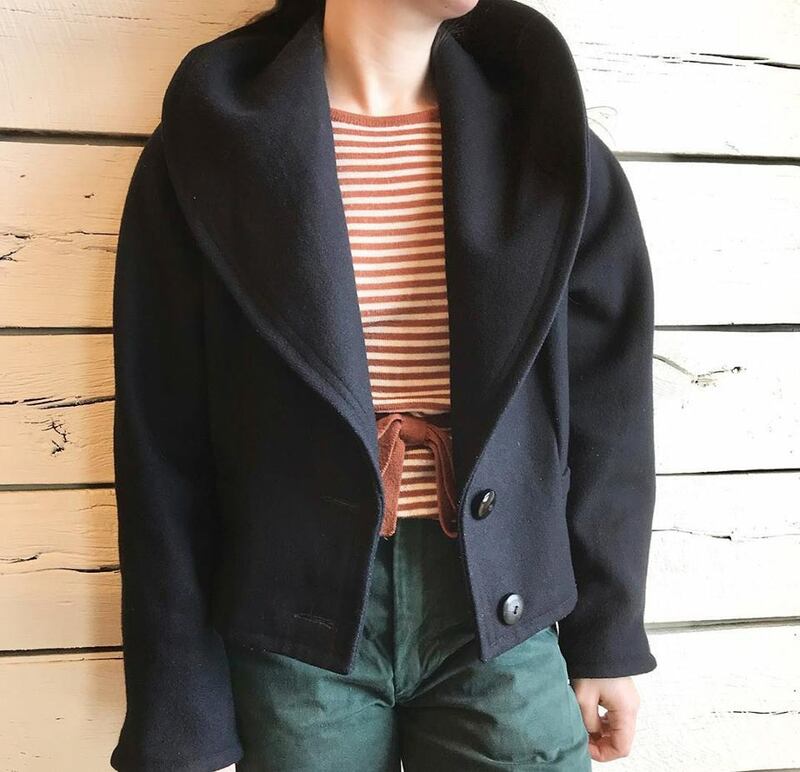 This place specializes in vintage-inspired clothing and accessories in a variety of styles and they cater to plus size ladies! They have a new second location in the Fischer Building and a new store called Yama located two doors down inside the same building! Holiday Hours: 11 am to 7 pm Monday through Thursday, 10 am to 7 pm Friday and Saturday and noon until 5 pm on Sunday. 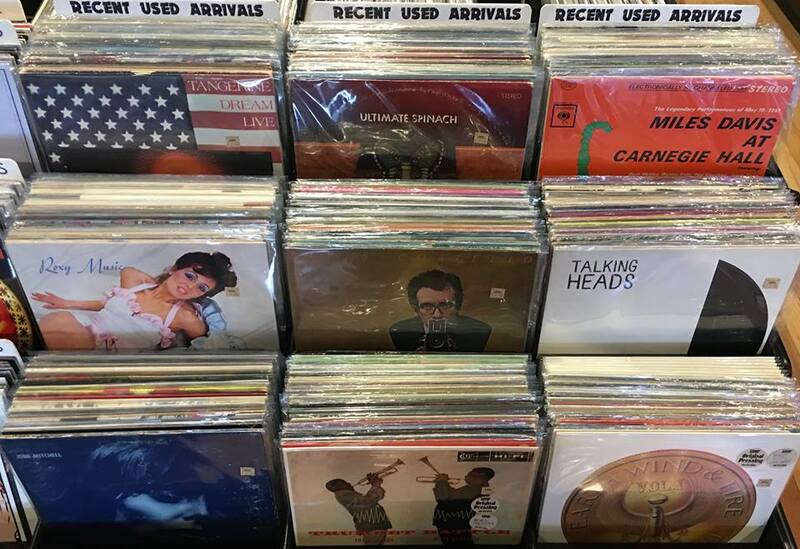 UHF Records: Music is the universal language, give the gift of music! 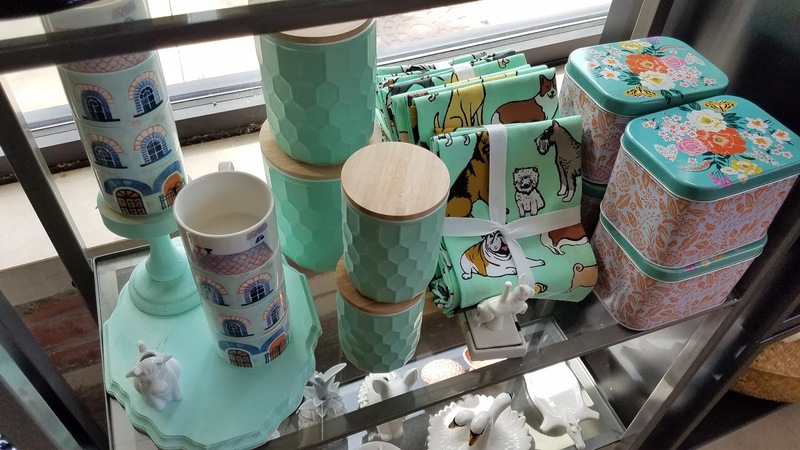 Detroit is the New Black- You can shop inside the retail location or online, either way they have some great holiday shopping guides on their website! 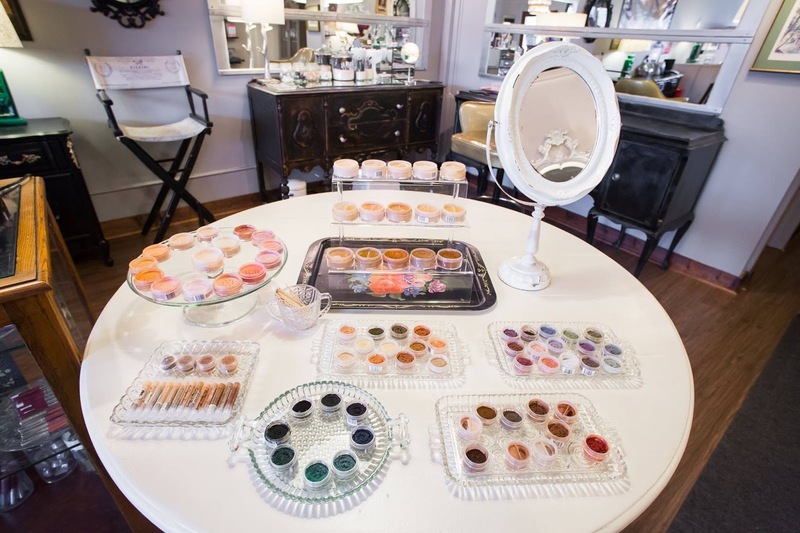 Rouge Makeup and Nail Studio- Rouge is all organic and all vegan! they offer manis, pedis, facials, skincare, makeup and way more. They also have their very own to die for sauna. This holiday season they are featuring lots of great packages that would make the perfect gift for someone who deserves to be pampered! Green Daffodil- This awesome Ferndale shop carries a variety of amazing smelling co-friendly bath & body products. We are personally obsessed with their candles. Everything in the store would make a perfect gift! 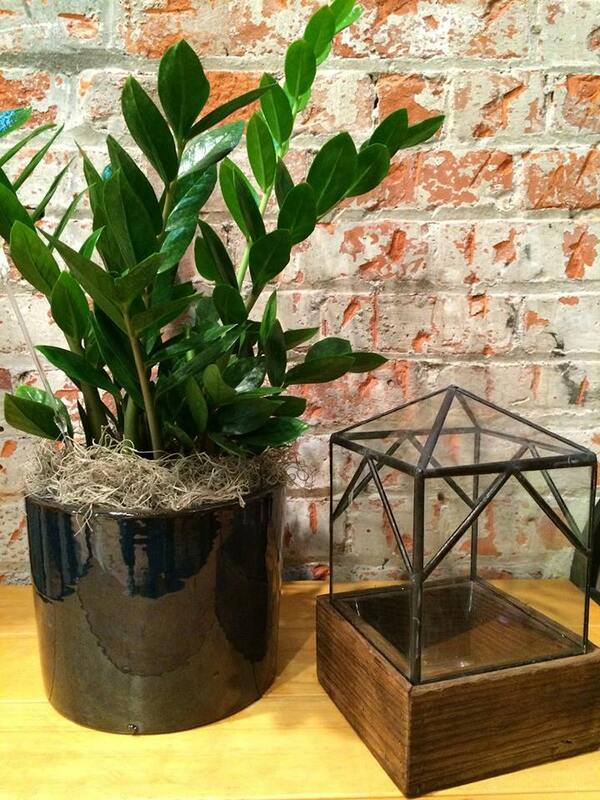 The Rust Belt Market- There are only two more weekends to visit the market before Christmas! This is one of our favorite places to shop local. They have a fancy bar where you can grab a drink before you browse through all the vendors that have set up shop in the space! Don't forget to visit Mitten Crate while you are there! 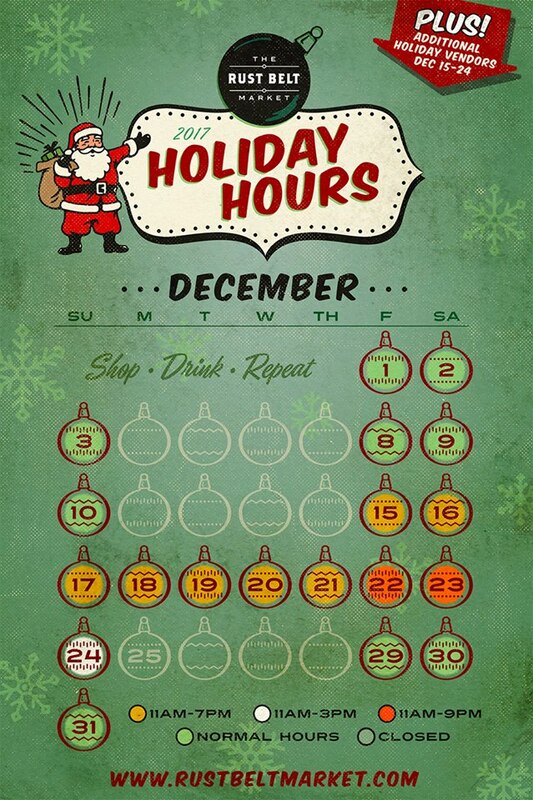 Holiday Hours: See the graphic to the left. 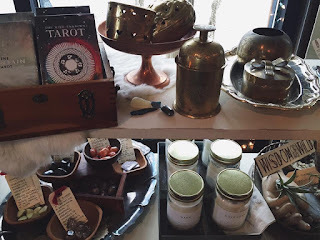 Saffron- Saffron is one of our favorite local shops. 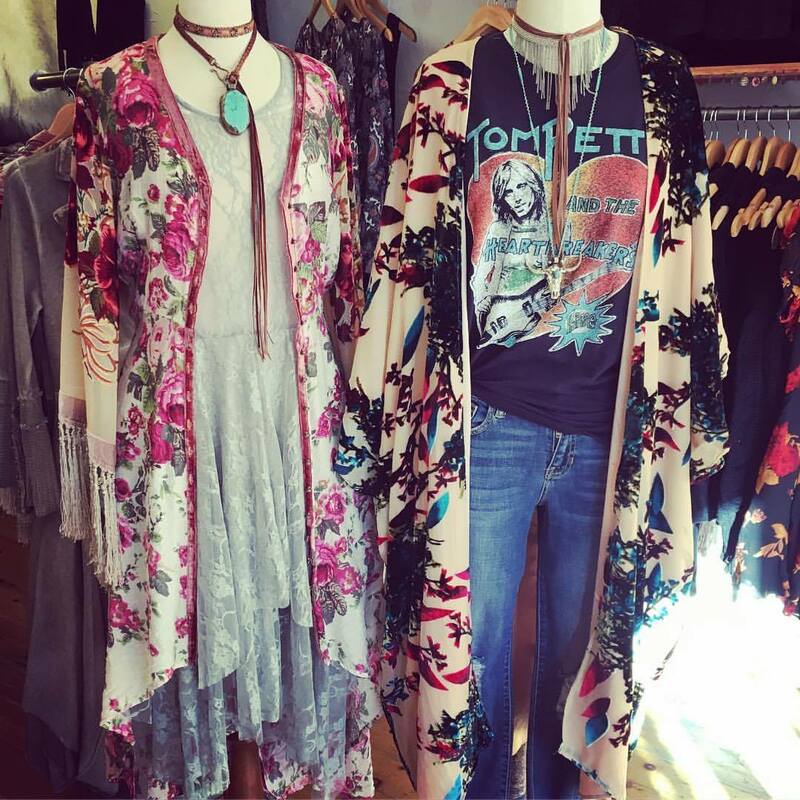 They always have the coolest clothes and accessories for the free spirit on your list! Rail and Anchor- Looking for a cool gift? This the place to go! Plus, they will wrap it for you! Found Sound- Give the gift of locally purchased music this holiday season! Mitten Crate- Give the local gift that keep son giving! Send someone a year of cheer by signing them up for a mitten crate! Don't forget you can also shop Mitten Crate in person at The Rustbelt Market in Ferndale! Visit them online at here. 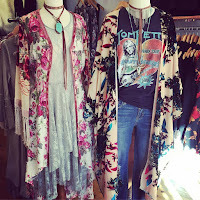 Lost and Found Vintage- Everyone loves finding a vintage treasure and this place is packed with them! Holiday Hours: 11 am until 7 pm Monday through Thirsday, 11 am until 8 pm Friday and Saturday and noon until 6 pm on Sunday. ZMC Pharmacy- This place is so much more than a pharmacy! They have amazing gifts for everyone on your list, from vintage inspired home decor to toys. A few years ago when I was looking for a dress for an event a friend suggested I stop by The Peacock Room in Detroit. 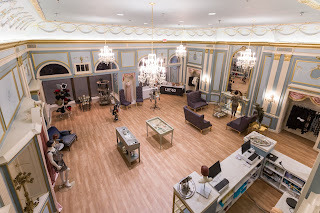 I wasn't familiar with the space, but my friend is a stylist with great taste so I actually took her recommendation seriously and made my way down to The Park Sheldon on a Saturday morning to see what they had. An hour later I walked out of the boutique with a new dress for my event without breaking the bank, which is something I've never experienced before. Being a size 12/14 means that you can't usually shop at boutiques unless you're looking for accessories, even the most eclectic places don't carry many items above a size 8/10. Surprisingly, The Peacock Room not only carried a wide variety of sizes, but they had a ton of options in each size. So I actually got to play "Pretty Woman" and try everything on to find the perfect dress without feeling bad that I couldn't squeeze into anything on their racks. It's rare to see someone open and sustain a successful business with such a good reputation, but to be expanding that business and reshaping retail in Detroit is fascinating to us. So, we reached out to Rachel to learn more about her stores, her approach to style, and her passion for the City of Detroit. The interview, much like her stores did not disappoint. Check out what she had to say and stop by and shop local this holiday at The Peacock Room! HID- Why did you decide to open the original Peacock Room? Rachel Lutz- "I opened the original Peacock Room because I hate shopping and I don't like the fashion industry. Ironic, right? I wanted to bring the pleasure back to shopping since it's a necessary chore. I wanted to give others the experience I always wanted." HID- What motivated you to expand? Rachel Lutz- "I had no desire or plans to physically expand earlier this year. The Fisher Building's new owners approached me in May and I declined, wanting to keep my business small. I then toyed with the idea of a modern, contemporary version of The Peacock Room, which is decidedly vintage-inspired. But additionally, I made the mistake of standing in the last intact storefront of the Fisher Building. I realized it was the same exact space I stood in front of two years earlier when the building was slipping into foreclosure. I gawked at the beauty of the original historic detail, turned to my friend and said, "If I hadn't already built The Peacock Room in the Park Shelton, I would've built it here." By the end of May, I had two leases signed. Surprise!" HID- Why did you pick the Fisher Building? Rachel Lutz- "I picked the Fisher Building because it's the Fisher Building! They don't call it the world's largest art object for no reason. I believe in The Platform's vision for New Center and I'm excited to help them serve this already-vibrant neighborhood. There is a great foundation for retail laid by many businesses that have been here for 30 years or longer. Many retailers are headed in the opposite direction, downtown. But I think it's important that as Detroit builds up, we build out into the neighborhoods." HID- Why did you decide to open two stores at the same time? Rachel Lutz- "I wanted to open two stores at one time because once you're mentally, physically and financially invested, you're all in. My two Fisher Building stores have very different looks, so between them, there's something for nearly everyone. I wanted to give my customers double the reason to come to New Center, bringing the neighborhood new foot traffic. I also wanted to help bring our customers back and forth across the storefronts on Woodward between Grand Boulevard and the Amtrak station, an area poised for major growth within the next couple of years." HID- What kind of customer does the Peacock Room cater to? Rachel Lutz- "The Peacock Room is very vintage inspired, but not costume-y. It's for someone who loves a classic feminine look." HID- What kind of customer does Yama cater to? Rachel Lutz- "Yama is a polar opposite of The Peacock Room. Inspired by Minoru Yamasaki, it favors his no-nonsense clean lines. It's for someone who appreciates architecture and modern design." HID- Why was it important for the Peacock Room to cater to the Plus Size market? Rachel Lutz- "It's important to cater to all sizes. Detroit's apparel scene has always been inspired, but there's a documented shortage of retail, especially clothing. I wear a size 2X, larger than the average woman, but not by much. Most boutiques the size of our Park Shelton location would never commit to carrying sizes 00-26 because it's only 1,000 square feet. But it was important to me that nearly every woman has options, even if it's a small but well-curated selection. 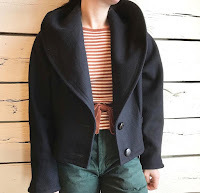 I struggle to buy good finds in extended sizes- they're not easy to source, and it gets harder every season to find unique plus apparel that's made well. One of the great things about the new, larger space is that we can continue to expand our selection in every size." HID- Do you plan to keep both Peacock room locations open? Will they feature the same merchandise or different merchandise? Rachel Lutz- "I plan to keep both locations of The Peacock Room open as I decide my next steps. Both Peacock Rooms have some things in common, but enough unique merchandise that will make you want to visit both. Frida in the Park Shelton is completely different than Yama in the Fisher Building. That's the benefit of the stores being less than a mile from each other! You can easily take the QLINE and walk only a block from building to building, shopping at all four." HID- What are some of your favorite style tips? Will you share them with us? Rachel Lutz- "My favorite style tip is DO YOU. Stop feeding yourself the same images from social media and pop culture that everyone else consumes. Go to the library, go to a concert, get out in nature, people-watch. Get inspiration from life around you. Don't give into the expectations of others, and use your style to express yourself to the world. Don't think of fashion as an industry- think of it as the evolution of your own personal style. Fashion is the process of figuring out the next you, not letting others dictate their ideas to you. Fashion is your very own evolution." HID- Why did you decide to open a second location in Detroit instead of somewhere else? Rachel Lutz- "I didn't want a second location of The Peacock Room anywhere. But the combination of the Fisher Building and this specific storefront made it impossible to say no. Cities vary neighborhood by neighborhood, even block by block. The two buildings are only a mile apart, but each surrounding area has its own unique identity, needs, and challenges. I will only consider opening shop in the right context and Detroit gives me that context. It also has a wealth of beautiful historic spaces that provide a unique atmosphere. 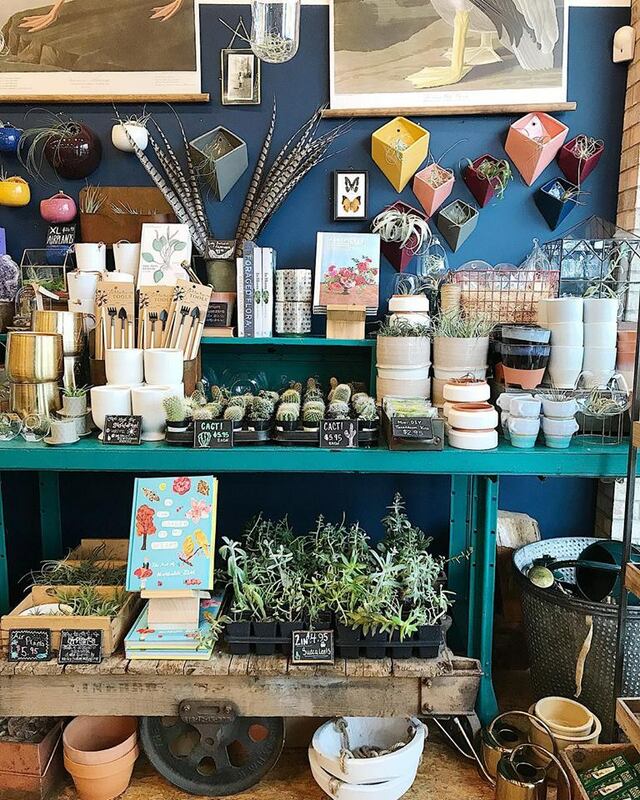 The future of retail is experiential, and it's hard to get your visitors inspired by the average suburban white box build out." HID- What is your favorite part about being in the Fisher Building? Rachel Lutz- "My favorite part of the Fisher Building is being able to hunt for fossils in the lobby. Check out the hidden fossils in the stonework next time you visit! I love that every inch of this building is beautiful for the sake of beauty. We don't build spaces like this anymore, so we need to fiercely protect the ones we have left." Rachel Lutz- "I want to remind everyone, especially this time of the year, that your spending power is so important to your neighborhood. 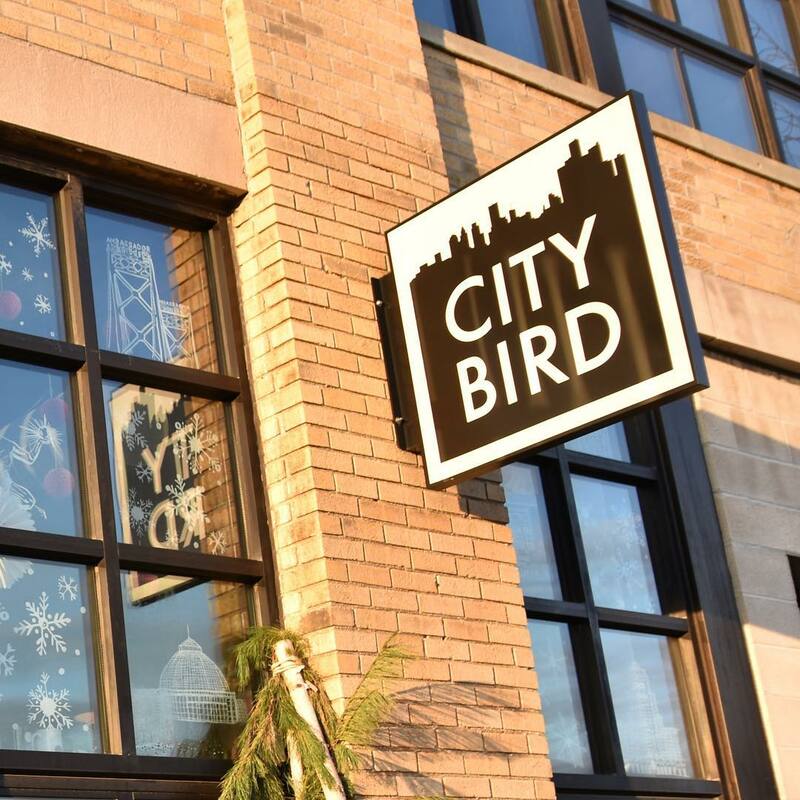 If you want to support Detroit, support its small businesses." If you want to dress up like Santa this weekend and get drunk, then you're in luck! 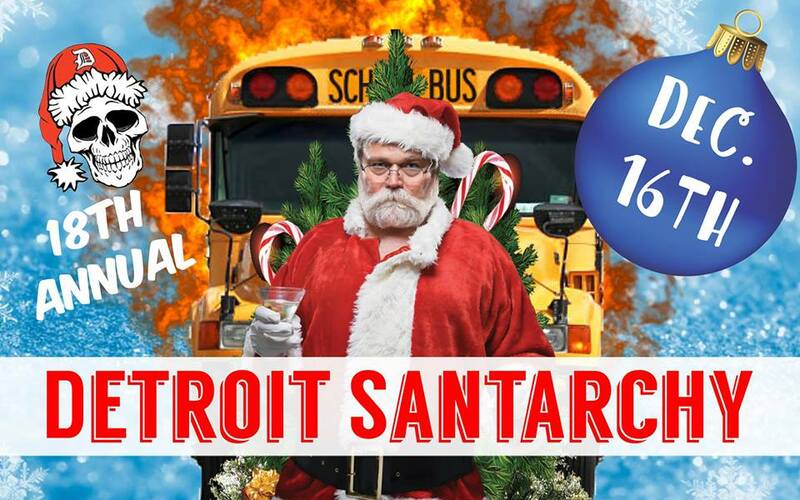 This Saturday night the 18th Annual Detroit Santarchy will take over the streets of Detroit. This is the official Santa Bar Crawl in the city and it's pretty awesome. The event starts and ends at the Gaelic League in Corktown. From there, buses load up and take all of the Santas to bars throughout the city. 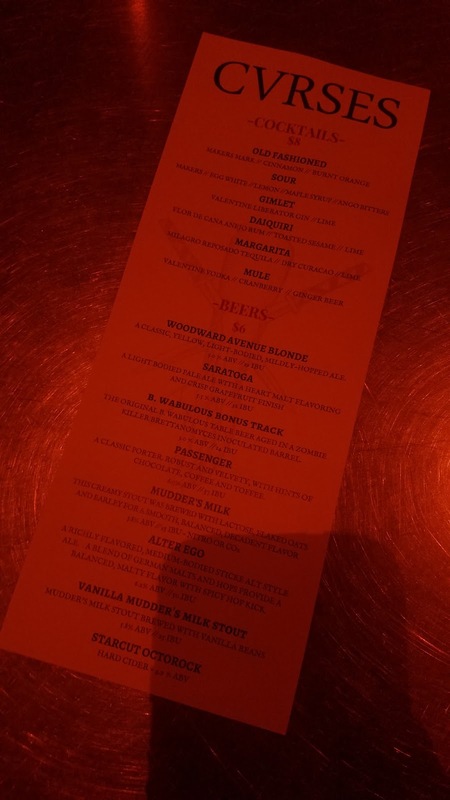 The event already has their list made of naughty and nice bars that they will be visiting throughout the night, but that's all a surprise to you! Buses will leave about every 10 minutes each location, giving you enough time to get in, grab a drink, and get back on the bus! 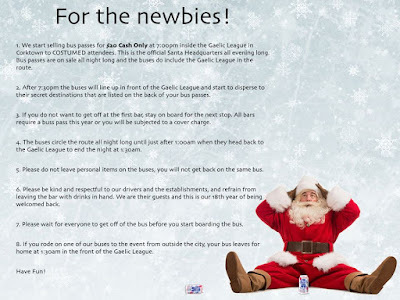 Tickets for Detroit Santarchy are only $20 and can only be purchased with cash at the Gaelic League door. You should also bring cash to buy your drinks at each bar because you probably aren't going to stay at one place long enough to run a tab. Your Santarchy pass will get you into all of the participating venues and bars, even if there's a cover. You should plan to arrive at the Gaelic League at 7 p.m. and then the buses will line up and start circling the town starting at about 7:30. Only 21 and up are welcome to attend Detroit Santarchy. The Gaelic League is located at 2068 Michigan Ave. in Corktown. For more information on this event, click here. 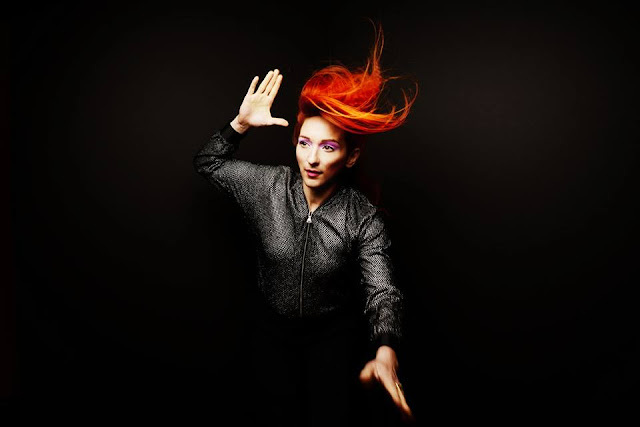 This Saturday night My Brightest Diamond is set to perform at El Club along with Mic Write! 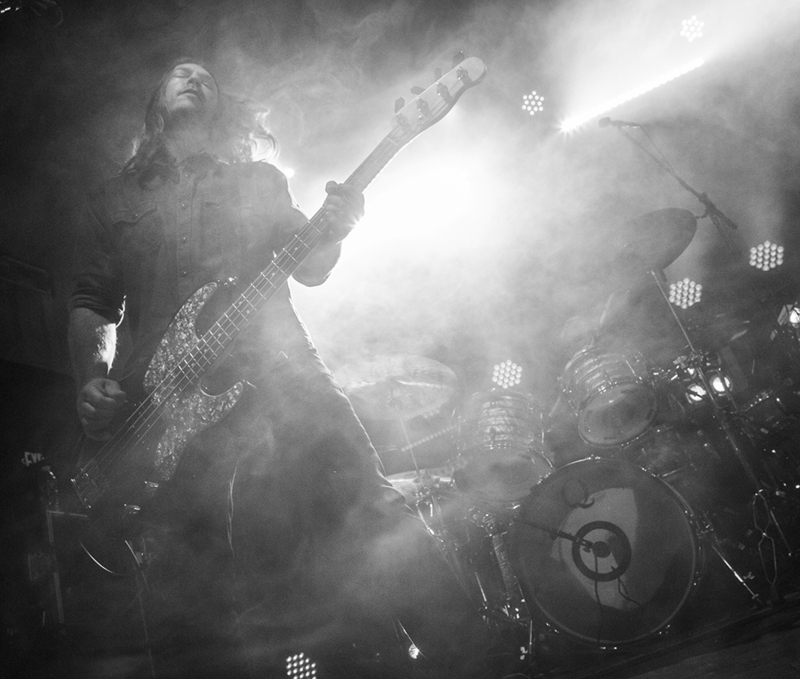 Shara Nova is only playing a few upcoming dates, with shows in Chicago, Detroit, New York and Paris. 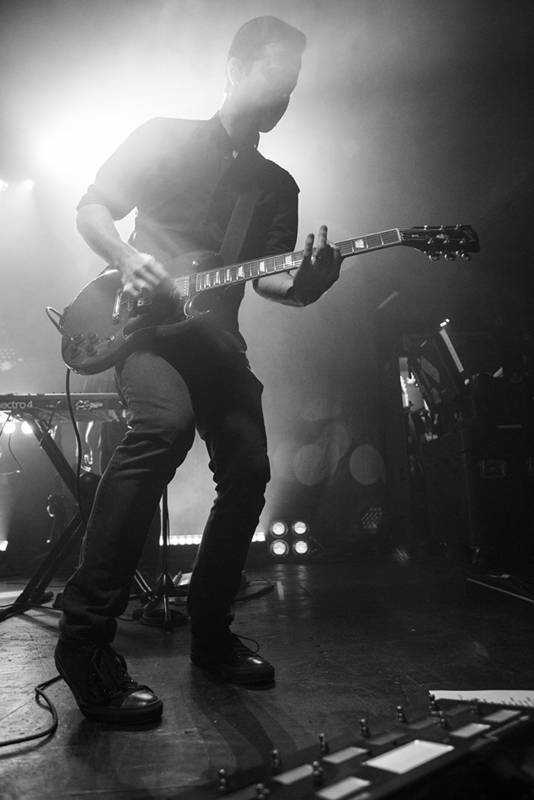 So this is a rare chance to see this amazing solo artist live on stage. Tickets for the show are only $15 in advance or $18 at the door. You can purchase your tickets online here. You can also enter to win a pair of tickets to the show by emailing your name to hipindetroit@gmail.com with #diamond in the subject line. We will draw one lucky winner on Saturday morning and they will get into the show that night with a friend for free. In 2012 Stef Chura dropped out of college and began writing, recording, and releasing music from her house. She spent most of September and some of October and November on the road and she is on the verge of releasing hard copies of her album Messes this February. She is a self-made artist who sings about being an emotional, mess, something a lot of us can relate to. If you haven't heard the new album you can stream it here. Stef will be returning to Detroit to play at El Club this Thursday, December 14th, Prim ( solo project of Sina from Casual Sweetheart), Detroit's The Javelins, and Chicago based DEHD will be opening the show. Tickets to attend are $5 to $10 in advance and they can be purchased here. We also have one pair of tickets to giveaway to the show courtesy of Party Store Productions. If you would like to enter to win them please email your full name to hipindetroit@gmail.com with the subject line #stef. We will draw one lucky person this Thursday and they will get to attend the show with a friend for free! At the end of every winter, there is an event that brings the city's best bands and fans together for four awesome days. The Hamtramck Music Fest will take place March 1st thru 4th of next year. 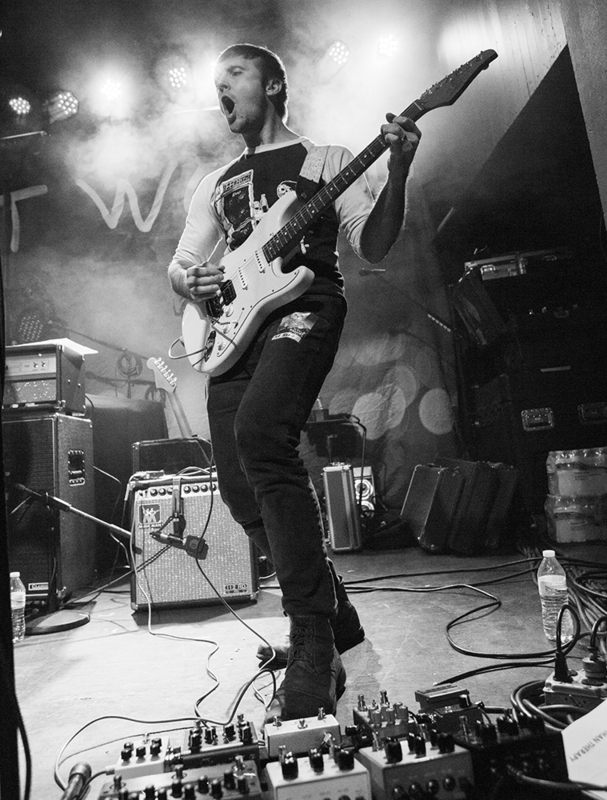 Now in its fifth year, the music festival will bring together nearly 200 bands to play at 20 venues throughout Hamtramck. A weekend pass for the event is only $10, which means for just a couple of dollars a night, you will get to bounce from venue to venue and see a ton of great bands. This is by far one of my favorite events of the year, and although it's a few months away, there is a good reason that we're telling you about it today. If you are interested in being a part of the HMF in 2018 the time is now to apply to play! Bands can apply by filling out the online application here. Not everyone that applies will get to play, but you definitely won't get to play unless you apply. The application process runs now through January 7th, so don't put this off! Fill out your application now so you're not a Sad Sally the weekend of HMF, pouting about how you don't get to play one of the coolest events of the year. So for now, save the dates, March 1-4. And if you're in a band head over and apply to play. 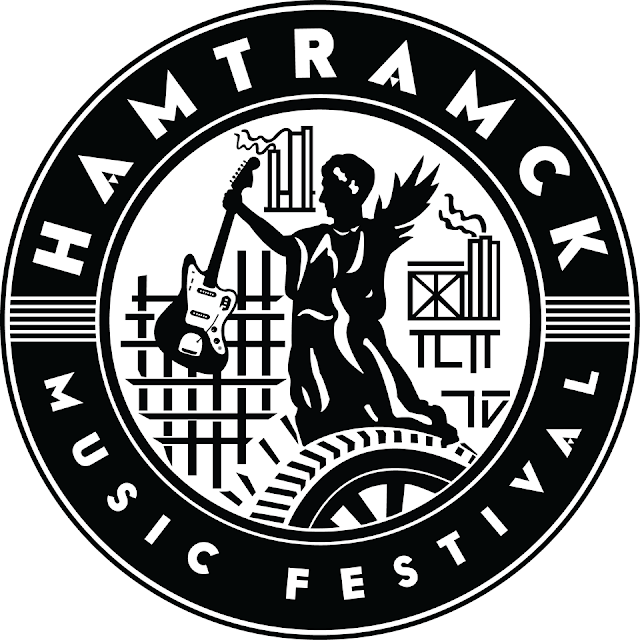 Make sure you also head over and like the Hamtramck Music Fest on Facebook here so you can stay in the loop on the upcoming fest. 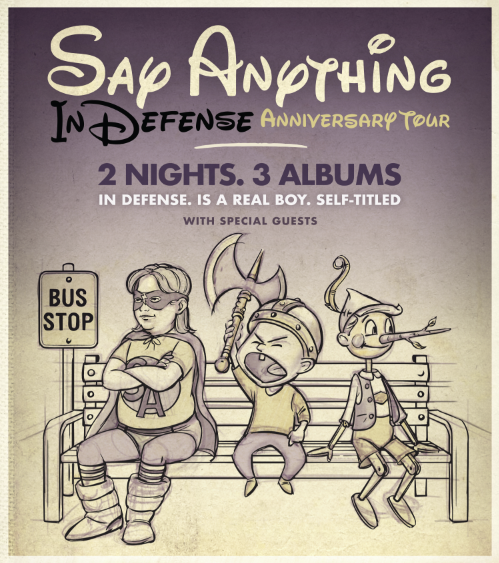 Pop punk band Say Anything is currently on tour in celebration of the 10th anniversary of their 2007 hit album In Defense. To honor the last decade they are doing back to back nights in cities all across the US to play three full albums in full. This includes In Defense, Is a Real Boy and their Self Titled LP. That means that if you want to hear all three albums you have to head up to St. Andrew's two nights in a row! The first night will feature the band playing Is A Real Boy and the second night they will be playing Self-Titled and In Defense. Tickets to attend each night of the show are $23 in advance and they can be purchased here. We also have one pair of tickets to give away to each night of the show. If you would like to enter to win a pair, please email your full name to hipindetroit@gmail.com with the night you want to attend the show in the subject line (Wednesday or Thursday). We will draw one lucky person each morning that the band is in town and they will get to attend the show with a friend for free. 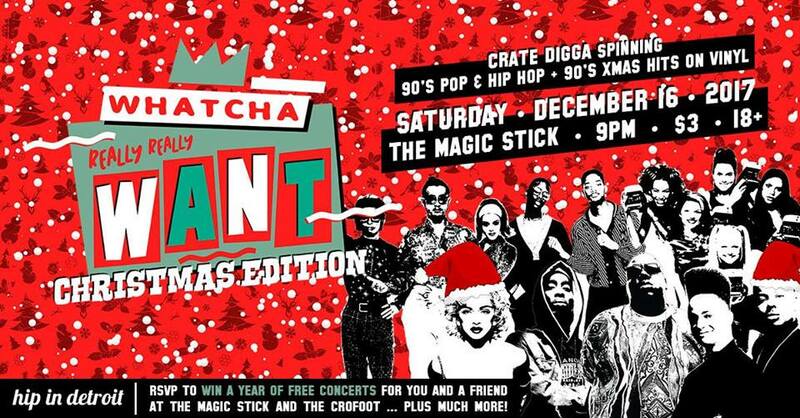 A few weeks ago Hip in Detroit teamed up with The Crofoot to bring the best part of the 90's back for one night only. Over 700 people came out to party and dance to records spun by Detroit's own Crate Digga. 90's legend Mr. Belding even came into town to take some pictures and give away a cruise to one lucky attendee that made sure to RSVP to the event before the party. The entire dance floor was filled with people who were ready to party like it was 1999 and tons of people came out dressed in their best 90's gear. Everyone had a great time reliving the decade that brought us Biggie, Tupac, and The Spice Girls. In fact, the party was so awesome that we immediately knew that we had to do it again to celebrate the holidays. 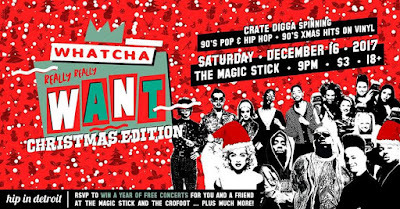 This Saturday, December 16th Hip in Detroit is once again teaming up with The Crofoot, Crate Digga, and The Magic Stick to bring you a very 90's Christmas. Doors open at 8 p.m. and the party goes until 2 a.m. Entry is $3 in advance and at the door and 18 plus are welcome. You can get in free if you dress in costume. That can mean 90's wear or holiday wear or both, that is up to you! We will be giving away prizes to anyone who RSVP's to the event and is there to claim their winnings. The prizes are pretty dope and include things like passes to every show at The Crofoot/ Magic Stick in 2018 and free pizza from Sgt. Pepperonis. So, get your gear ready this week and join us to get down like its 1990 something this Saturday! 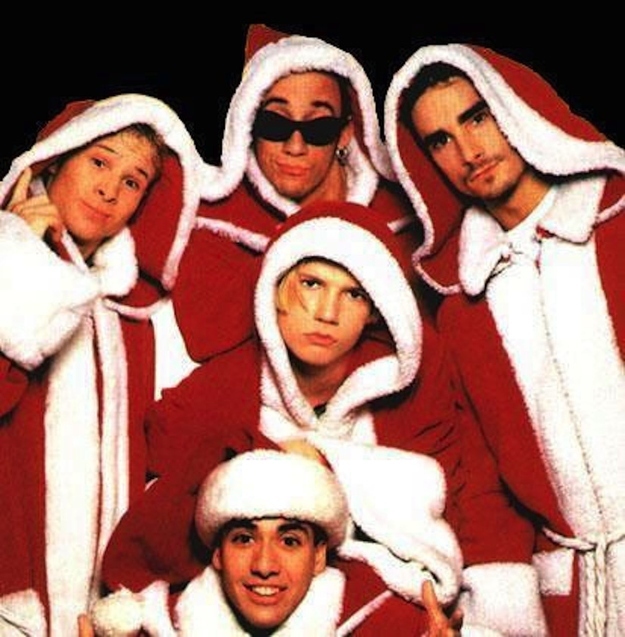 Cop your best Santa pose like The Backstreet Boys. 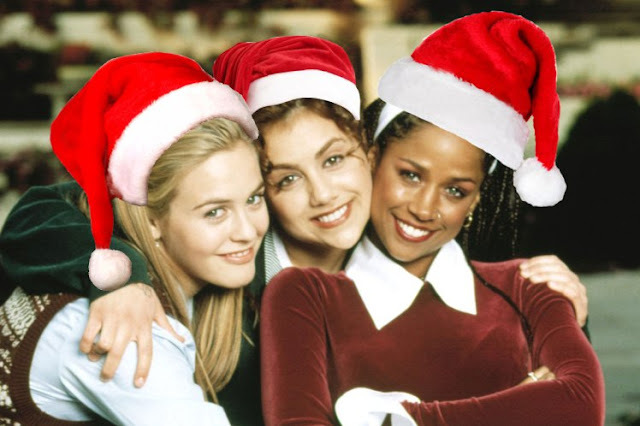 Dress up as one of Santa's little elves like Destiny's Child. 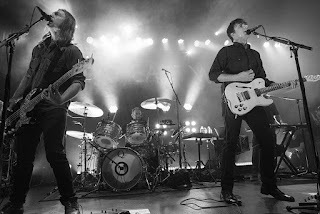 Last night 1990's pop-punk legends Jimmy Eat World packed St.Andrew's Hall from wall to wall and played hit after hit for over an hour and a half. 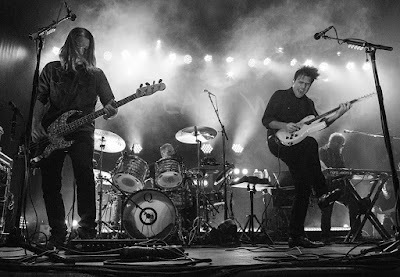 They threw in a couple of deep tracks towards the end and did a power encore finishing off the show with one of their biggest tracks "The Middle". 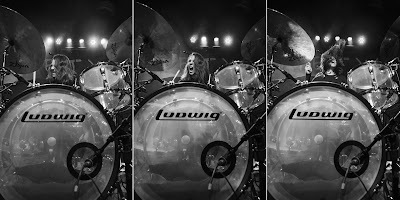 We were lucky enough to send one of our favorite photographers, CJ Benninger, to capture the show. So if you missed it take, a second to smack yourself for missing out, and then check out these great shots from the show!